Dallas-based Southwest Airlines (NYSE: LUV) has introduced an update to its iconic brand that includes a new aircraft livery, new logo and airport experience. The new aircraft livery, dubbed “Heart,” is intended to showcase the strength of the nearly 46,000 employees company-wide, thus putting the airline’s “heart” on display, according to the company. “The heart is our identity – the heart of our Southwest employees enhances the customer experience,” Kevin Krone, the airline’s vice president and chief marketing officer, said in a five-page news release announcing the changes. The “Heart” paint scheme is already in operation on two aircraft, dubbed “Heart One” and “Heart Two,” which were unveiled Sept. 8. At the same time, the airline unveiled its new logo, newly designed in-flight materials and magazine, and a revamped experience both online and at its airport locations. The changes will be the focus of an advertising campaign “that celebrates the airline’s unique personality,” according to the carrier. 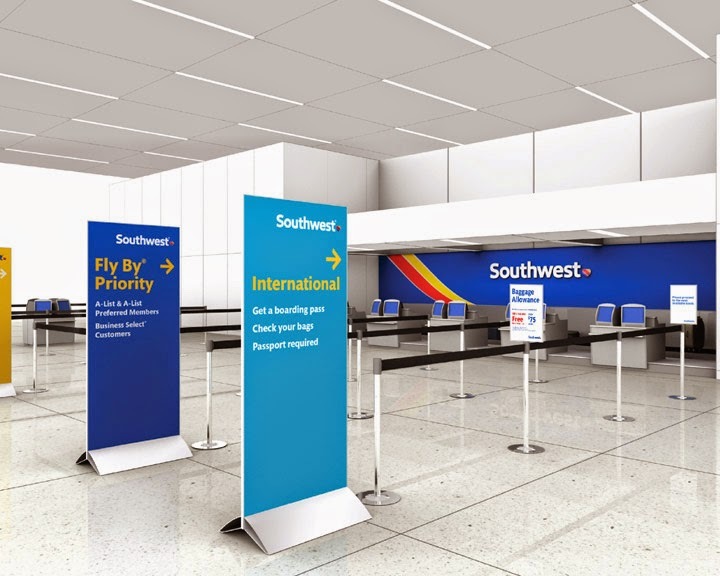 To determine how best to create a new look, Southwest and five partner marketing and communications companies did research including numerous focus groups with employees and customers. Because the airline heard that it was important to remain unique and to retain its personality, Southwest decided to continue the use of its signature vibrant color palate and striped tail while adding more modern touches including prominently displaying the Southwest name on the side of the aircraft fuselage rather than a smaller version on the tail. The new livery also includes a heart on the belly of the aircraft. The refresh even includes an update to the airline’s signature “DING” sound that includes two hand claps before the chime sounds, apparently to get people’s attention. All the elements of the new identity can been viewed on the Southwest Heart website. With a number of changes in the immediate and near future, airline officials saw this as an opportune time to update its image. This year brings the addition of international destinations, including the commencement of service to Punta Cana and Mexico City on November 2. The carrier already serves Aruba, Jamaica (“Ooo, I wanna take ya!”**), the Bahamas, Cabo San Lucas and Cancun. The airline is also continuing to expand domestically as well. It now serves over 90 destinations and is expanding its presence in major markets including New York City (LGA, EWR and ISP) and Washington, DC (DCA, IAD and BWI). The integration of AirTran Airways, which Southwest acquired in 2011, is also scheduled to be completed later this year. To its credit, Southwest is taking a cost-conscious approach to implementing its new look: the airline intends to remain cost-neutral by using a phased roll-out. While new aircraft will be delivered with the new Heart livery, aircraft already in the Southwest fleet will receive the new livery within their existing repainting schedules. In addition, many of the future airport conversions will be integrated into existing and upcoming airport improvement projects, so it might be some time before customers and employees see the new design in person, the airline noted.